Apex Tactical - Competition and performance parts and gunsmithing for pistols and revolvers. Brownells - The leading supplier of firearm accessories, parts, and tools. Classic Firearms and Parts - Ammo, parts, sights, books, collectibles, and more. Cornell Publications - Reprints of old catalogs and manuals. Craft Holsters - Belt, IWB, shoulder, belly band, crossdraw, drop leg, and more. GunsAmerica - Buy and sell firearms in a classified ad format. GunBroker.Com - Buy and sell firearms in an auction format. Guns International - Buy and Sell firearms in a classified ad format. 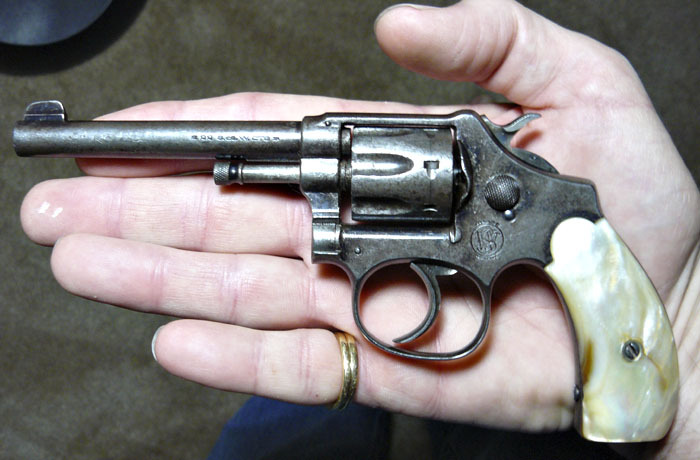 Horst Held Antique Handguns - Collectible small arms. Jack First - Makes a lot of replacement parts for old guns. KeepShooting.Com - Firearms, accessories, ammo, military surplus, etc. Marstar Canada - Classic Collectibles, parts and accessories. N.C. Ordnance - Reproduction gun grips. Numrich Gun Parts Corporation - Large selection of current and obsolete gun parts. Omaha Outdoors - Guns, knives, ammo, suppressors, armor, accessories, clothing, cerakoting. Poppert’s Gun Parts - Manufacturer and distributor of parts. Triple-K - Manufactures and sells gunleather, replacement magazines, and grips. Vaquero Gunleather - Holsters, cowboy rigs, accessories. Wolff Springs - All kinds of gun springs. Artillery Lugers - Mauro Baudino’s website on the artillery luger and Mauser parabellum..
Of Arms and the Law - Good blog & sound information on legal history of 2nd amendment. C&R (Cruffler) - Dedicated to the firearms historian, collector, and enthusiast. Cornered Cat - A female perspective on gun ownership, safety, gear, etc. DownRange.TV - Educational and informational gun videos. Forgotten Weapons - Rare, exotic, and prototype weapons. Front Sight - Top notch firearms training in Nevada. GunBlast.Com - Articles and more. GunBoards.Com - Jan C. Still’s forums - one of the best sites for collectors. Gun News Daily - News and information related to guns. Gun Pros - A blog featuring reviews, information, and educational material for new gun owners. The High Road - One of the best gun forums. Kel-Tec Owner’s Group - Great site for Kel-Tec enthusiasts. KR Training - Karl Rehn offers basic to advanced tactical training in Central Texas. Minute Man Review - Reviews for gun products, and an excellent blog on products and issues. The Parabellum is Back - Book on post-WWII parabellum pistols from Mauser. Paul Mauser Archive - A trove of information on the Mauser company. Pocket Guns and Gear - Gun reviews, ammunition tests, & more. NotPurfect - An excellent general resource on guns of all sorts.